The flu virus that has been seen most frequently to this point is H3N2 -- a strain that is especially hard on the elderly. 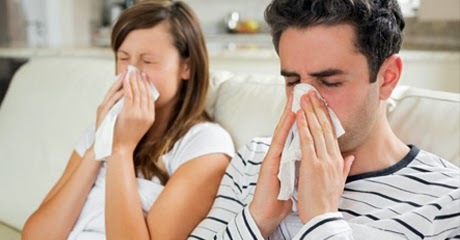 Winters when H3N2 is the dominant flu strain often make for bad flu seasons. <<One of the problems she foresees is that the H3N2 component of the vaccine being offered in the Northern Hemisphere is not optimal. It's a mismatched, in the language of flu vaccine. Vaccine strains for our winter flu shots were chosen last February, before last winter's flu season was over. It's always done that way -- it takes months to make, bottle and ship the vaccine we use every winter. Last February, the viruses circulating seemed to be quite similar to those that were in the 2013-14 flu shot. So manufacturers were told to make this year's flu vaccine using the same strains. But when the experts who select the vaccine strains met at the World Health Organization in September to pick those that should go into the Southern Hemisphere winter 2015 vaccine, they saw that a new version of H3N2 had emerged. The viruses had "drifted" -- changing their outer appearance in a bid to evade immune systems that had seen H3N2 before. That means the H3N2 component of the vaccine generates antibodies that may not recognize the new viruses as well. "The emergence of a new drift strain means that we may have more intense H3 activity this year. And we're also starting to pick up early H3s emerging as the dominant player very early on in the season," says Skowronski. - Quadrivalent vaccines containing two influenza B viruses contain the above three viruses and a B/Brisbane/60/2008-like virus.